Jake Quickenden has revealed he's heading back into the studio to record new music following his split from Danielle Fogarty. Dancing On Ice's Jake Quickenden will tour with The Dreamboys later this year. This Sunday Dancing On Ice returns to our screens as the first six skating stars take to the brand new rink for the very first time. 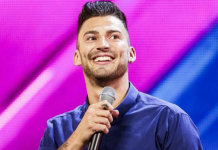 Jake Quickenden to make special appearance on The Dreamboys UK tour! 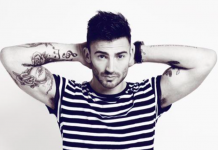 Jake Quickenden is set to make a special appearance on tour with The Dreamboys UK. Former Tarzan of the jungle Jake Quickenden will now become a stripper. Dan Osborne and Jake Quickenden get shirtless to compare chests on Reality Bites! 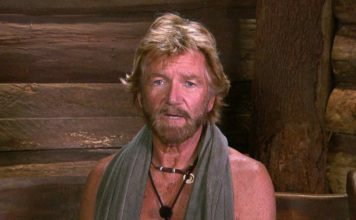 Dan Osborne and Jake Quickenden have both stripped off in the latest Reality Bites to compare chests. TwitCelebGossip have got their hands on pictures. 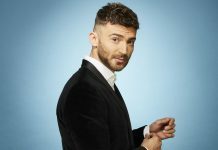 Celebrity Big Brother 2015: Jake Quickenden ‘I am not entering big brother’! Jake Quickenden has taken to social media today to kill rumours of entering the Celebrity Big Brother house.